Long Standing Employee: Alun Hiett! 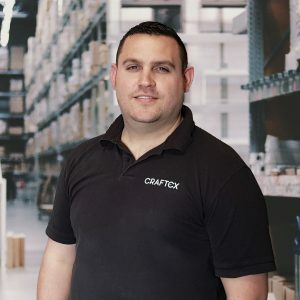 This week marks the 14th year that Alun has been working at Craftex! Over the years, Alun has proven himself to be an invaluable member of the team, using his skill and expertise to oversee the production of our renowned chemical range. He has watched our organisation grow, going from a largely manual manufacturing process to an automated system, and we thank him for his commitment over the years!